Shortly before Christmas, my colleague rated this 6-inch, 48-ring gauge parejo a five out of five stogies, which earned it a spot in our best of 2017 list. I fully endorse that lofty score. 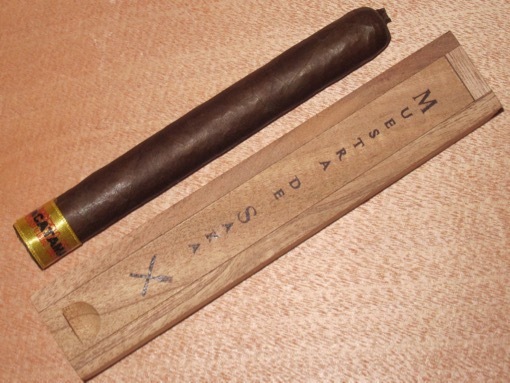 Nacatamale features a Habano wrapper, Nicaraguan binder, and filler entirely from one farm in the Jalapa region of Nicaragua. The profile is characterized by medium- to full-bodied flavors with cream, wood spice, and leather, all of which come together in a supremely balanced total package. It burns flawlessly, which you’d expect from a cigar the retails for over $15.